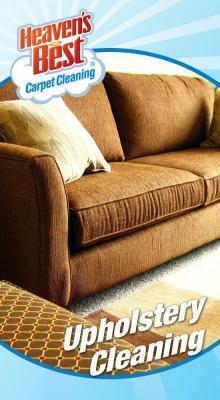 Are you in the Birmingham, AL area and stressing over how to clean you upholstery around your home? You've come to the right place as we at Heaven’s Best want to give you some helpful tips to understand how to clean your upholstery. The furniture industry has created a code for its care tags so you can quickly know how to clean upholstery when a spill occurs. These tags are typically found hanging in an inconspicuous place on the side of the furniture, or under seat cushions. X: This upholstery fabric must be professionally cleaned. You should only vacuum and brush it -- never use any type of upholstery cleaner on it yourself. (Unless you are extraordinarily rich, you really want to steer clear of buying furniture with this on the tag in the future. With all cleaning methods I would suggest that you test your upholstery stain remover first in an inconspicuous area, to check to make sure the stain removal method will not harm it and for color fastness. This would be an even more important step when you don't have an upholstery tag to rely upon anymore. 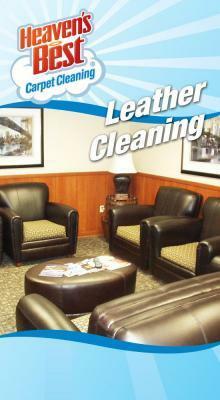 You also do all stain removal on upholstery at your own risk, especially when you don't have the codes. If you are unsure, or want to be especially cautious, I would call a professional for advice or assistance on how to clean upholstery in Birmingham, AL without tags still attached or accessible. Heaven’s Best Carpet & Upholstery Cleaning is the preferred choice to insure you get the best professional cleaning with their trained technicians. Give us a call at 205-618-9150 and let us take the stress and worries from you about your upholstery needs while you sit back and let us get the job done!